Dream of holding a sloth every day and hang this cutie on your wall. 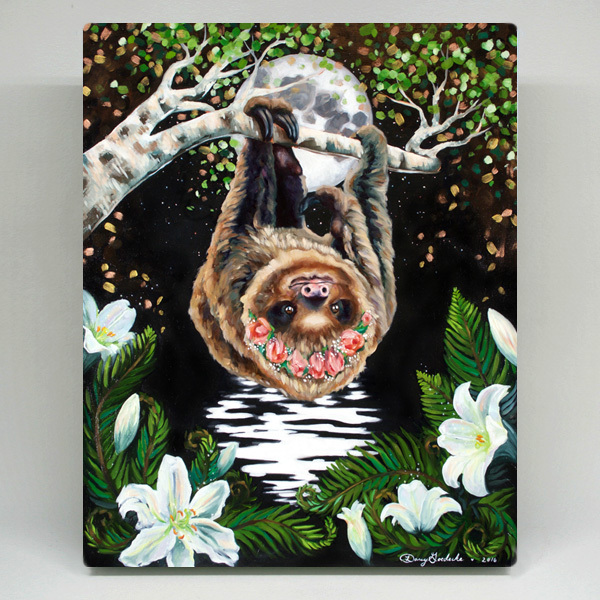 A sweet sloth with a flower crown hangs from a birch tree above ferns, lilies, and a moon-lit path over water. This canvas has black sides and is ready to hang! Printed on demand, just for you! Please allow up to two weeks for delivery. 5 x 7", 8 x 10", 11 x 14", 12 x 16", 16 x 20", 18 x 24", 24 x 30"